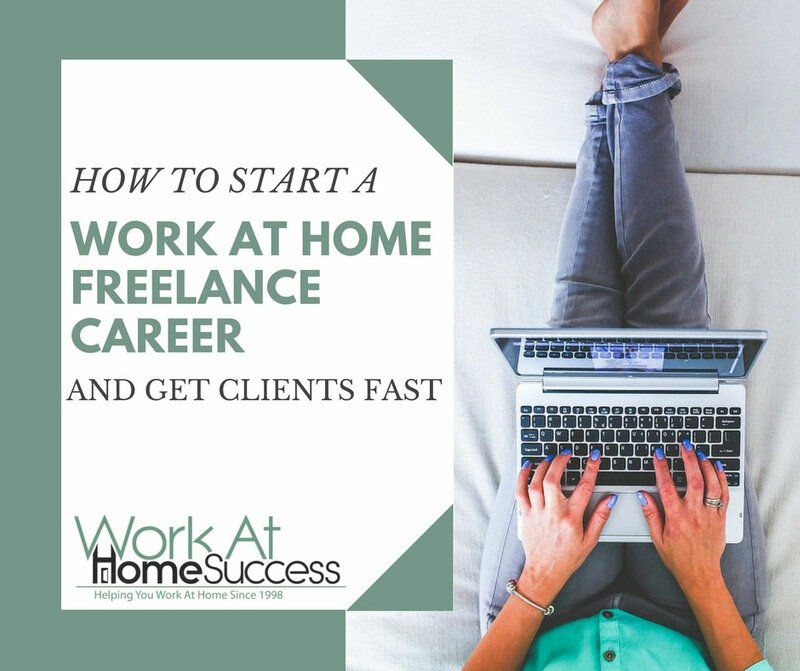 One of the fastest ways to start earning money from home is to freelance your skill. Not only can you start a freelance career today…right now, but also, it can be affordable and easy to start if you use a skill you already have. Further, you can start small, around your regular job or other obligations, and grow it into a full-time income. In many cases, it can be flexible and portable, allowing you to work where and when you like. In many ways, freelancing is similar to a job in that you’re offering your skill in exchange for payment. It differs in a job because you’re not hired as employee, which can offer you some extra perks. As a freelancer you have more control over what you do, how you work, and what you charge. In fact, as a freelancer, if you charge enough, you’ll earn more per hour than you would as an employee. Why would companies pay more per hour for a freelancer over an employee? For companies, the actual cost to hire a freelancer often is less than an employee because they don’t have the added expenses such as taxes and benefits. Other perks to you include tax deductions in running your freelance business that includes things like your home office, and the expenses in running a freelance business, such as Internet access, software, etc. And again, you can decide the type of work you’ll do, what market you’ll work for, and your hours of operation. What Skills Can You Freelance? If you have a skill that businesses would pay for, you can turn it into a freelance career. Further, you can specialize in one skill, i.e. transcription, or you can combine skills, such as virtual assistant doing things like transcription, calendar management, and social media. Also, you can specialize by market. For example, you can be a virtual assistant to Realtors or speakers. You can offer web set up services to authors. The point is, you can design a freelance career to do the skills you love and do the best, and work with the group of people you most like to hang around. 1. Choose a skill and market. The first thing you need to decide is what you’re going to freelance and what to charge. Starting out, choose a narrow skills and/or market to target, such as transcription for podcasters or bookkeeping for online entrepreneurs. It’s much easier to zero in on clients when you have a focus, plus it’s easier to entice them to hire you if your service is specific to their needs. There are several things you need to consider when setting your price. First, you need to determine how much you want to make in profit. Then you need to determine how much it will cost you to do business, including overhead costs (i.e. services and expenses to run your business) as well as the value of your time. Then you need to determine how many billable hours you can realistically do. For example, if you want to make $50,000 per year as a freelancer, and it costs you $10,000 to run your business, you want to make at least $60,000. If you plan to work 50 weeks out of the year, that’s $1,200 per week you have to earn. You may work 40 hours a week, but not all of those may be billable hours. You have other tasks such as marketing, invoicing, etc. So let’s say you can bill 30 hours a week. $1,200 divided by 30 is $40 per hour. When you have a per hour price, you need to determine if that’s a price people are willing to pay based on your experience and service you provide. The more experience you have with the skill, the more you can charge. You can search other freelancers and businesses that offer that service to find out what they charge. Note, that you want to stay away from freelance sites, as those tend to pay less than freelancers who work on their own. Some freelancing work you’ll charge your per hour rate. For example, as a virtual assistant, you might charge $30 per hour. However, project-based work is usually billed by the project. To determine a project price, you need to know how long it will take you to do what the client wants. If the client wants 10-600 word articles, and you know it takes you an hour to write a 600 work article, then you can determine that it will take you 10 hours to do the project. You multiply that by your rate to get the project price (i.e. 10 hours times $30 per hour = $300). In some cases, a client might take you on in a long term situation. For example, a virtual assistant might be hired for 10 hours a week ongoing. Or a social media manager might be hired for 15 hours a week. Because they offer a source of steady income, you can give ongoing clients a special deal. For example, if you charge $25 per hour for social media services, but there is a client willing to hire you for 10 hours a week and commit to six months, instead of charging $250 per week (10 hours X $25), you might offer a 10% discount as a retainer client. Don’t forget, the more experience you gain as your grow your freelance career, the more you can charge. So don’t be afraid to raise your prices. To get clients, you have to be clear on what you offer. This becomes your menu of services. You should also create a contract that will outline what you do, what the client will do (i.e. payment), and how issues can be resolved. You can find sample contracts online or find a lawyer. Being a freelancer means juggling several clients and projects at a time. That requires organization, but also systems in place to keep you on time. What will the work flow be from signing the contract to delivering the work? What tools will you have in place to keep the client informed, to track time, and to invoice? What hours will you work on client projects versus dealing with business needs such as billing. Reach out to businesses or friends who know your skill and might be willing to hire you, or might be able to refer you. Create a LinkedIn profile, and use LinkedIn to network and search for jobs in your skill area. When connecting with others on LinkedIn, focus in on the target market you want to work with. Don’t just ask them to hire you. Instead, be a source of information or help, and when they see how great you are, they’ll hire you or refer you. Twitter is another place to start connecting with your target market. Consider doing a podcast or YouTube. These mediums give you a chance to show your expertise and build your authority. The first clients are usually the hardest to get. But once you get them, if you provide quality service, the next ones will follow much easier. In the seven years I did my podcast, nearly ever freelancer I interviewed indicated they didn’t have to do much marketing once they got started because they got so much referral business. That’s your goal. So make sure you do the best work you can and deliver it on time. 1. Get a business license: Chances are, your city or county will require one, even as a freelancer. You should decide if you want to operate as a sole proprietor or company. Since most states now allow for single-person LLCs, and they’re easy and affordable to set up, I recommend going that route. 2. Build a website and start an email list. While you don’t need these to get your first clients, you do need a place of business such as a website or blog that outlines what you do, provides a portfolio of work, tells how to get in touch with you, and shares testimonials. You should also have a way to capture potential clients’ information through an email list. 3. Scale up. When it comes to freelancing, you’re still trading time for dollars, like a in a job. But there is a way to leverage yourself to earn more and that is by running a freelance agency. For example, lets say you’re a freelance writer. You can only write so much in a week, which limits how much work you can take on. But, if you hire or contract out to other writers, you can take on more clients and earn more. Of course you need to check and manage the work of your freelancers, which puts you in a management role, but getting paid off the work of 10 people is usually better than getting paid off the work of one (yourself).